hail him who saves you by his grace. The editors note that the fourth verse was "recast" (compare verse seven, above), and that the fifth verse here was added by John Rippon, 1787. 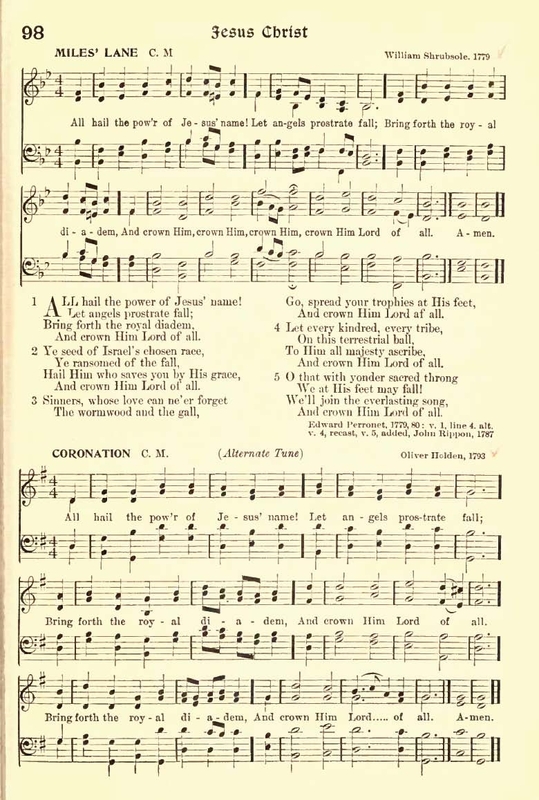 Sheet Music "Miles' Lane" and "Coronation" from Henry Sloane Coffin and Ambrose White Vernon, eds., Hymns of the Kingdom of God. New York: The A. S. Barnes Company, 1910, #98.